Most of my work is custom made – for customers, who have a jewellery dream which can’t be bought in normal shops. They ask me to create that extra personal piece of jewellery, maybe even recycling old, beloved, but aesthetically less pleasing heirlooms. Here is an example of how an old ring of my customer Louise’s much loved mother was turned into a new ring which reflects my customers taste and personality. Suddenly the facets were crisp and new and if set upside down in the new piece, this would become a very unusual ring with a uniquely cut gem. 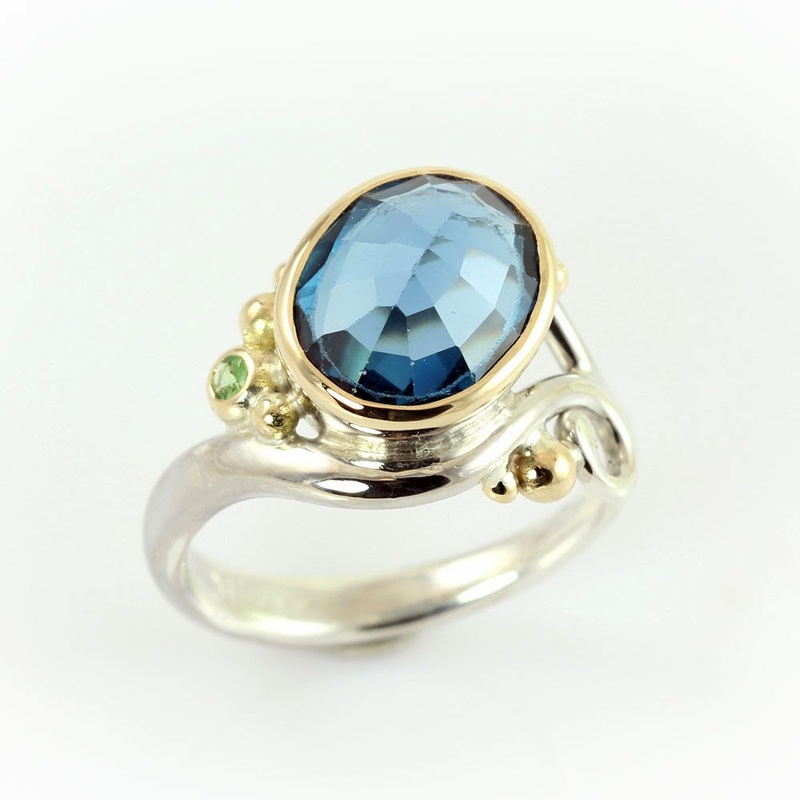 I set about to sketching designs which would showcase this lovely stone, while reusing the gold of the original ring. My customer brought more inherited gold than was needed, especially since she preferred a combination of silver with only accents of gold. Another trademark of mine is the use of bubbles. I love them, because they lend life to the design – much like champagne wouldn’t be the same without its lively bubbles.